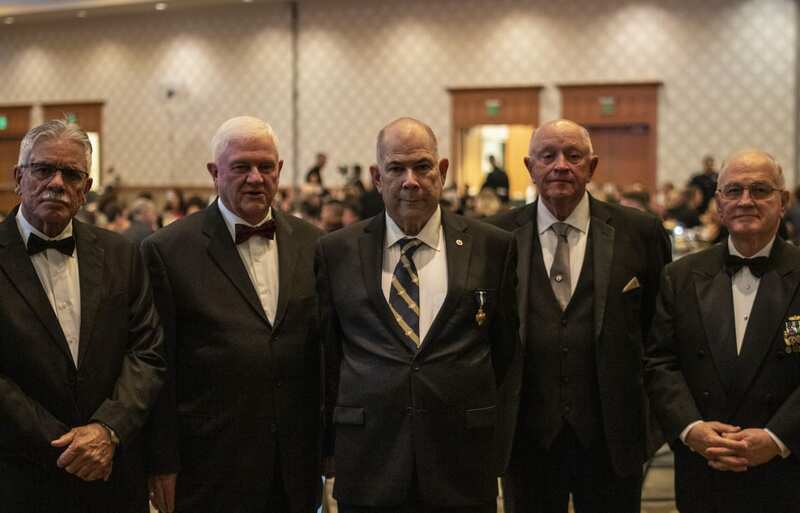 VANCOUVER — Amidst hundreds of marines clad in their dress blues, shuffling through the halls of the Hilton’s Heritage Ballroom Saturday evening, one man in a civilian suit awaited the greatest honor. Ret. 1st Sgt. 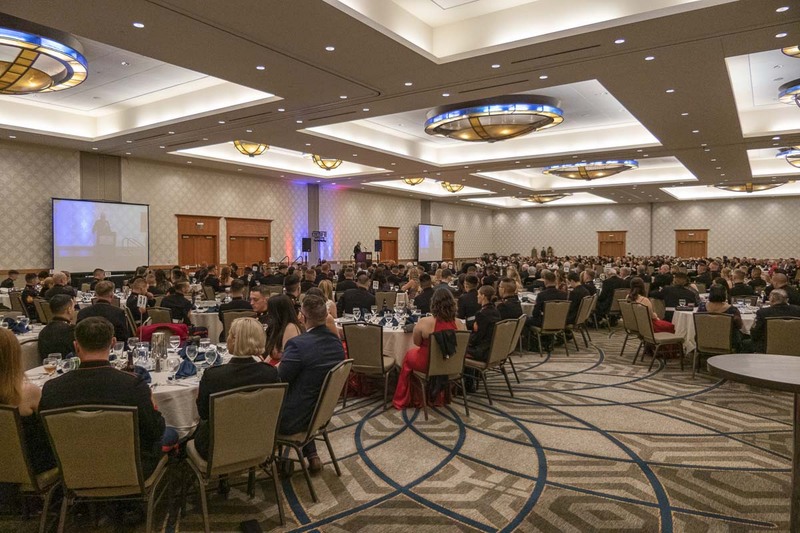 John J. Lord Jr., received the second highest commendation for bravery in combat, the Navy Cross, at the Marine Corps Ball in Vancouver this past weekend. 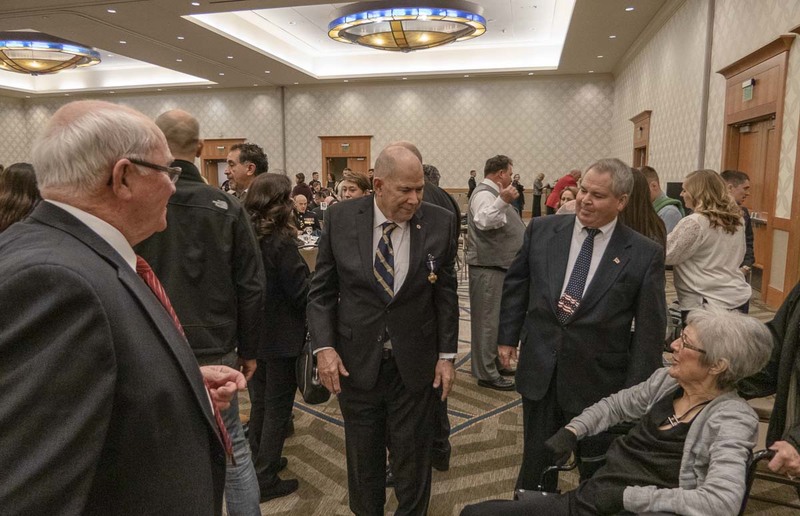 Over 50 years have gone by since Lord executed life-saving maneuvers and leadership during an intense firefight in Vietnam during the summer of 1968. His actions were recognized then only by the bronze star, but his fellow soldiers felt he deserved more as time passed by. The group petitioned for the approval of Lord’s award, and sought recognition for how he handled the company after their commanding officer was wounded. As part of the Marine Corps 243rd birthday celebration, Lt. Col. Ronald C. Coleman Jr. of the 6th Engineer Support Battalion, awarded the Navy Cross to Lord. The ceremony was also attended by special guest and speaker Ret. Col. Jay D Wylie USMC. Lord gave a speech as well, which at its heart, really served to honor his comrades. As he spoke, he made sure they remained standing, and spoke to their character, and how the honor was as much for them as himself. Cpl. Henry “Hank” Fletcher was one soldier he highlighted specifically for his actions on the day of the battle. Of the some 6,300 recipients of the Navy Cross, only 2,460 have been Marines, with Lord being the newest addition. Perhaps the most noteworthy occurrence of the evening was when Lord was asked to come aside to participate in an on camera interview and photo shoot and refused to go without his friends. He said he needed them standing with him.